Business expert Jere Glover has the numbers to prove that Democrats are better at running the economy than Republicans. Americans have always been ambivalent about admitting refugees, explains professor Maria Cristina Garcia. And, with the Supreme Court about to take up the president’s immigration powers, Bill Press interviews Huffington Post’s Elise Foley. January 24, 2016 Jere Glover proves that Democrats are better for the economy … immigration expert Maria Cristina Garcia says Americans have always been wary about admitting refugees … and Bill Press interviews Elise Foley of Huffington Post. Jere Glover Jere Glover has been collecting data for decades and has the numbers to prove that under Democratic presidents, the economy does much better than under Republicans. Maria Cristina Garcia Historian Maria Cristina Garcia says Americans have always been ambivalent about refugees – sympathetic but not necessarily accepting. Elise Foley Bill Press interviews Elise Foley about the Supreme Court taking up President Obama’s immigration actions. 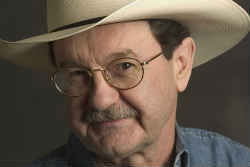 Jim Hightower The real story of Ted Cruz's "heroic" daddy. On the anniversary of American independence, journalist and First Amendment expert David Shipler says there is a mixed picture of free speech. Legally, you can say anything you want, but there are sometimes invisible cultural limits. Political reform advocate Lee Drutman says the Supreme Court’s Citizens United decision is not helping corporations run Congress as much as old-fashioned lobbying is. And Bill Press interviews New York Congressman Paul Tonko, an opponent of TPP. Jun. 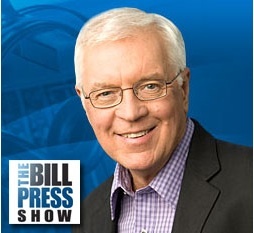 28, 2015 David Shipler on the state of the First Amendment, Lee Drutman on corporate influence peddling, and Bill Press interviews New York Congressman Paul Tonko on TPP. David Shipler Free speech expert David Shipler gives us an Independence Day review of free speech, a free press in the Internet era, and the merits of whistle-blowing by Edward Snowden. Lee Drutman Lee Drutman studies the role of influence-peddling in government and says that corporations spend 34 times as much as issue advocacy groups. And that, he concludes, is just not a fair fight. Paul Tonko Bill Press and his guest. TPP opponent Congressman Paul Tonko. 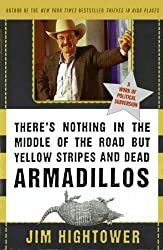 Jim Hightower "The Donald Show"